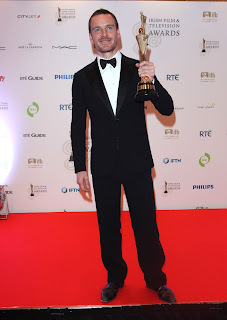 Congratulations to Michael for winning the Best Actor award at the Irish Film and Television Awards this evening! You can watch the broadcast of the programme at RTÉ One at 9:40pm GMT... if you're in the UK, doh! 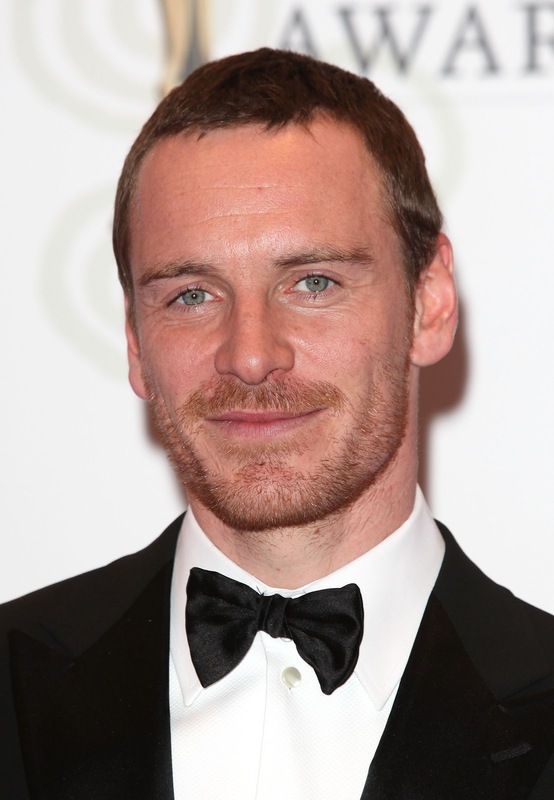 Michael Fassbender is nominated for Best Actor for Shame at the IFTA ceremony this evening in Dublin. You can watch IFTAs on RTÉ One at 9:40pm. I will try to put a link up if possible. Unlike the Golden Globes, I don't know if there will be a live stream of this show. However, you would be wise to follow @IFTA on Twitter, where they will surely announce the winners live. 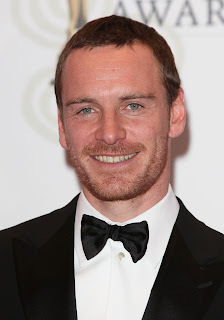 Just as soon as images of Michael attending the ceremony are published, I'll post them here. 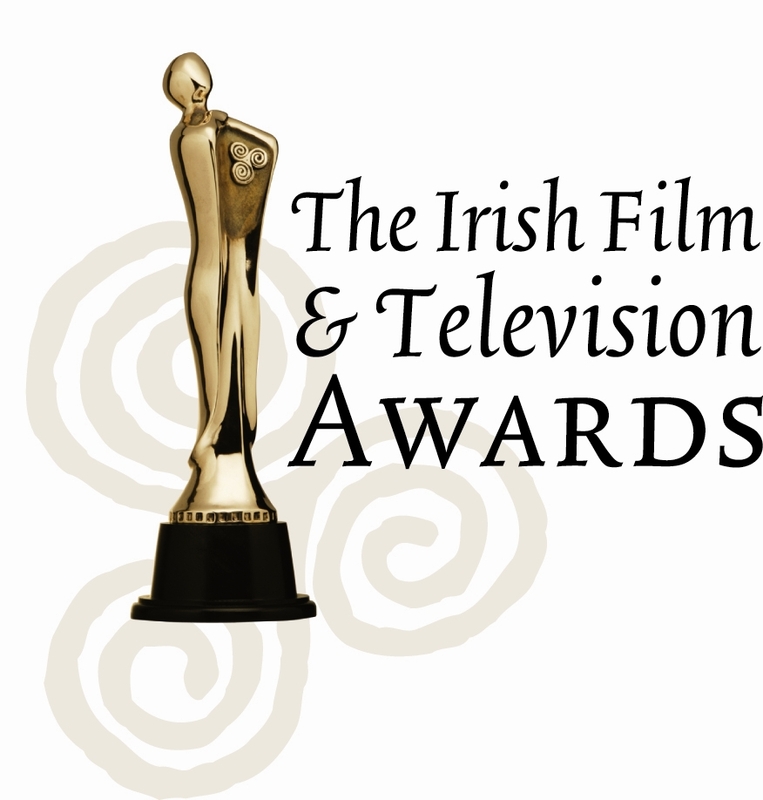 Feel free to post comments in this thread throughout the day and during the IFTA broadcast. 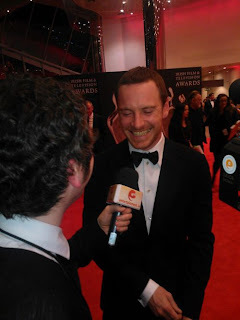 IFTA facebook is providing up to the minute updates and details in preparation of the show. 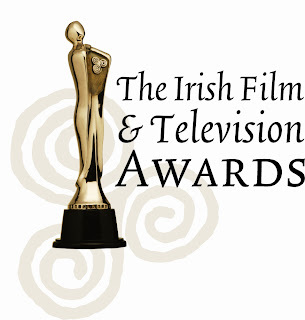 IFTA website gives you additional information about the awards and the nomination list. 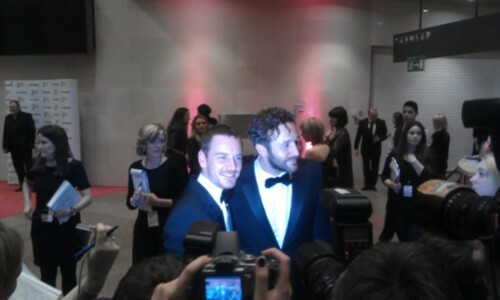 Michael and Chris O'Dowd who won Best Supporting Actor. 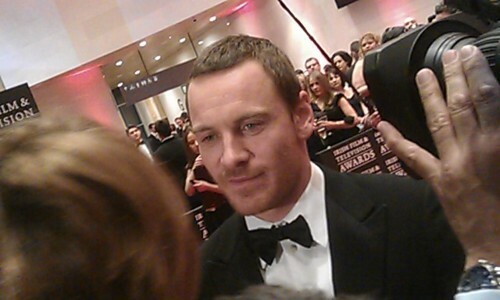 I will post more pictures of Michael at IFTA as they come in. It's basically a two-way race between Michael and Brendon Gleeson, who was magnificent in The Guard. Oh, and how I could forget. thanks guys -im nervous much. good luck Fassy -love you! BTW the ceremony starts at 6.30 pm Irish/UK time (i.e. 1/2 hour from now), but they are going to broadcast it at 9.30 pm. So don't worry people if you tune in and don't see it now. The broadcast is not live. 1) He's a living incarnation of a goddamn teddy bear! 2) His role was the complete opposite of Fassy's, and he drew me in equally. Every twist of pain I felt while watching Shame met it's match with every burst of laughter I made watching The Gaurd. But I'd rather have Michael win. Best of luck to Michael tonight! The winners are being announced live at Twitter. 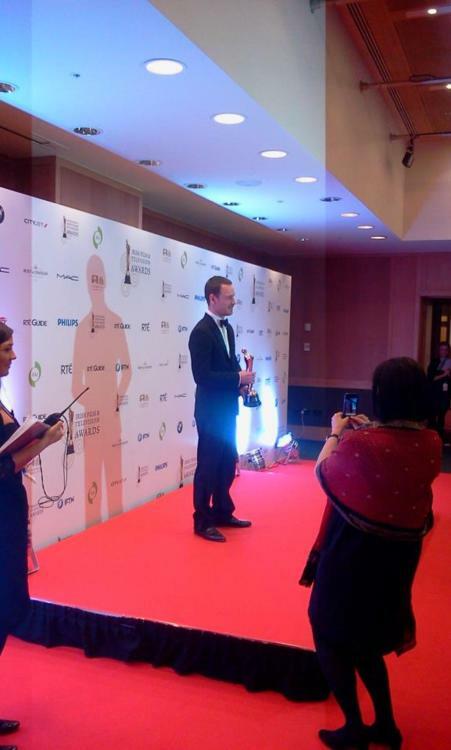 Is that Chris O'Dowd he's standing next to on the red carpet? That right there must be the centre of all hilarity for the evening. I'd follow those two around all night, because you just KNOW the after-party is going to be the most fun you've ever had! Yeah Flora, that's him. After party should be epic. And yes, I agree, Gleeson deserves to win too. Maybe it can be a tie! Gosling just won International Actor. Yay Ryan! 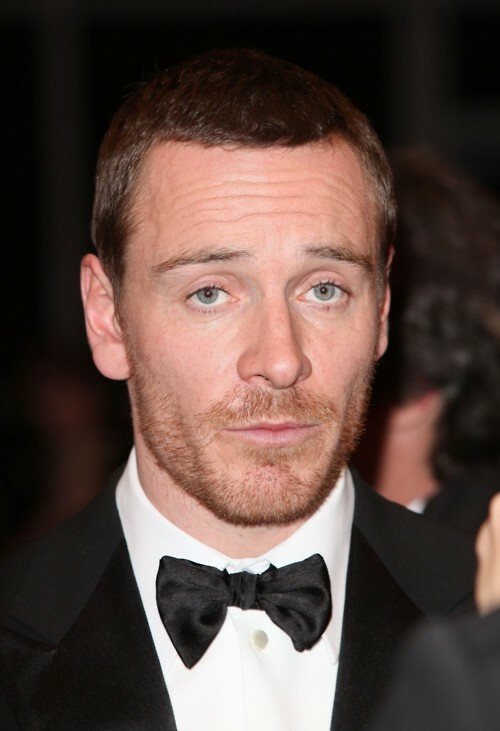 I'd love to see him and Michael in a film together one day. Best Actor should be coming up any minute now. he ll take BAFTA tomorrow)))))))))))) he should! He dedicated the award to his sister! Very sweet! can't wait to see pictures! Yay Michael!!! And he dedicated it to Catherine. I'm so happy for him. I can't wait for the photos & video. damn and how we couldnt see it. he dedicated this award to his sister -how it s sweet. Is that his sister with him on the red carpet? I saw a blurry photo of a blonde woman with fantastic cleavage and thought it might be his mum at first, but I think Mrs F is a brunette. OMG how precious is he?? The older blonde lady is Olivia Treacy, an Irish actress. Flora -no she was absent. Poor man, he's going to have a terrible hangover at the BAFTAs after all the much-deserved celebrating he'll be doing. Hope his flight isn't too early tomorrow morning! 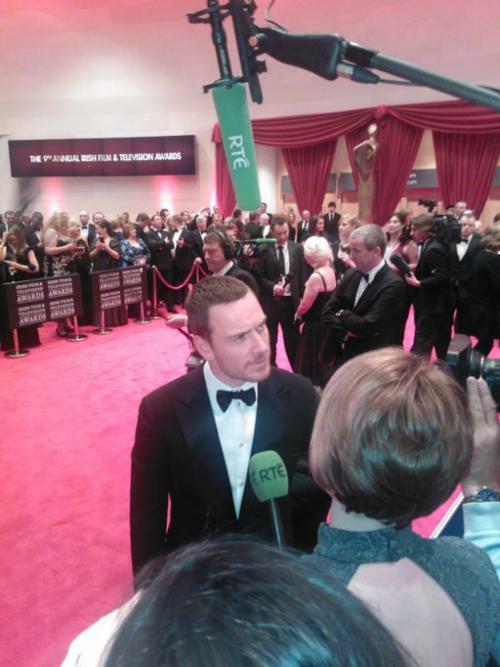 The ceremony will be broadcast on RTE One, which Barbara posted earlier. I just posted the link to RTE One at the top of the blog entry. It will start showing the event in a few moments! I just watched the weather report at the link, so it's working fine. Looking forward to pics of Michael with his award. I can't view the show at RTE One... it's probably only available to view in Ireland. You'd think they would have that posted on their website. We should get more pics soon. Congrats to Michael! Whoop, knew it! 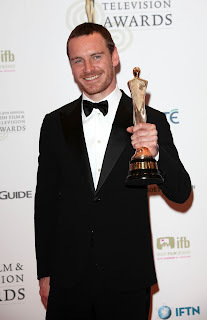 But hopefully they will upload the whole ceremony to IFTAs youtube channel. They did it with the last year ceremony. Yesss he won marvelous !!!!! I'm extremely happy right now !!!!!!!!!!!!!!! I'm very happy to see that he's won this award as well. He's a great talent with a lot of range. really? still no video of accepting award? I'm totally happy for him right now! By the way, does any of you have a link to a video yet? 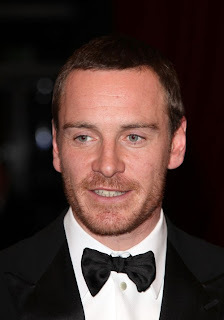 OMG Congratulation to Fassy ! still no video of Michael's acceptance speech? I'm afraid that would happen. When it only airs in one country, that's the risk. Not sure if anybody will see this now, but here's video of Michael winning. No speech but you get to see Michael's dad give him a kiss. So nice to see.